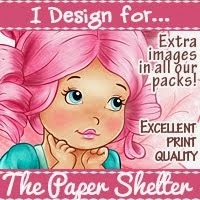 Good morning and welcome to my DT post for the new challenge from The Paper Shelter. This week our challenge is called "Sentimental" so we would like you to use a sentiment on your project. Today I have used the gorgeous Pisces digital stamp, but without the background. I kept the card quite simple and just added a few stickers from the paper pack I used and of course a sentiment from the pack as well. Good morning and welcome to this week's Something Else On Saturday post. This week I am joining in with the Tiddly Inks Challenge and using the free digital stamp they are giving away so you can join in with this challenge. I thought I would try something a bit different in my layout and am trying to use up lots of crafting odds and end that I have accumulated over the years. I rarely use stickers of any kind but the stickers on this card came in the patterned paper pack, so I thought I would add a couple here to use them up a bit! I have to admit, stickers are still not my thing! Good morning everyone! I don't tend to make a lot of Easter cards, but I just bought this cute set from Lawn Fawn and decided to use my Let's Toast Pull Tab die to make a three-way pull up, so it looks like the bunnies are hopping up and down with excitement for Easter! It took a bit of faffing about but I eventually got it to work, although it is a bit stiff pushing the tab back down! I think I have over bent the card a bit trying it and moving things around too much, but it looks cute! Good afternoon and welcome to a random post from me today! I made this card the other day but never got round to blogging it and after the devastating fire of Notre Dame the other day I thought I would share it to show my love of Paris. We went to Paris for my 40th birthday a few years ago and went to see Notre Dame. Unfortunately we didn't get to go inside as the queues were massive and we hadn't booked any early pass tickets, so we always said we would go back one day to see it again. The outside itself was just stunning. I really do hope that they are able to restore it. Anyway...here's my card using the adorable Newton Dreams of Paris set. I used the sketch from the latest Inky Paws Challenge and this is my first time entering one of their challenges. I now have a few Newton's Nook stamp sets, so I can join in at last! Good morning! Vannessa here sharing my latest Faery Ink project with you all. Today I have used the gorgeous Gemma, who can be found in the newly released colouring bookPretty Girls With Wings and Things Vol 2. You can read a bit more about her here on my post on the Faery Ink blog. Anyway on to my card for today...I just loved these tiny little fairies when they were released and had to buy them straight away, but have never found time to use them until this week! I also used the Mushroom house dies from Lawn Fawn to make a pretty pink fairy house! Good evening and welcome to my post for the new progressive challenge from Scrapper's Delight for this month. Our image this month follows the same theme as the new releases that were released last week and is another elf, but this time a male one, Gelmir Elf. Elves to me can either be Christmas cute ones or more hunter type woodland elves in the lines of Legolas from Lord of the Rings. I love the character of Legolas in the books and having Orlando Bloom play him in the Peter Jackdon trilogy of movies was a perfect choice as he is just so drool worthy with that gorgeous long blonde hair and those piercing blue eyes! The month's image is definitely the woodland variety and I went with a brown and green colour combo to reflect this. I also added a quote I found on Pinterest that Legolas himself supposedly says, but I thought it was quite a reflective one and fitted well with the theme. Anyway here's my inspiration card.... I used an old stamp from Sassy Studio Designs from when I was on their design team a few years ago with some silhouette buildings die cuts to make it look as if she was flying over them with her umbrella! The sentiment was computer generated. 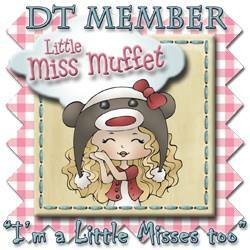 Good morning and welcome to my DT for the new challenge this week from The Paper Shelter. Our challenge this week is to use stars on your project. I used the fun digi stamp, The Goalkeeper, to add a card to my male cards collection, which I have to admit is very small! I printed out the matching patterned paper and then printed the image to the same size on Make It Colour card so I could colour him with my Copics and then fussy cut him out to add to the paper. It was a bit fiddly cutting him up but I do love how it turned out in the end. Was definitely worth it! Let's Taco About Your Birthday! Good morning and welcome to a random in-the-middle-of-my-holiday post when I have more free time to actually craft! It's the Easter holidays here in the UK and being a teacher I get the whole 2 weeks and 1 day off, although I do have some school work to do, like planning and making lesson resources! But for this week I am actually having a holiday and am catching up on some of the fun (and not so fun) stuff that I want to get done, but never have the time or energy to do! First on the agenda - crafting and entering a few challenges that I never get round to doing! So....here's a fun birthday card using the new Year Nine from Lawn Fawn with the taco stamp! I actually love tacos and we eat them all the time at home and often go to our local Mexican restaurant and have them there too. Christy’s Rainbow and Unicorn Card!